Whew, what an afternoon! I’ve been in and out of the kitchen for most of the afternoon canning and cooking! And like any good cook, I had to sample my creation while it was still warm. Oh honey hush, these are yummy! 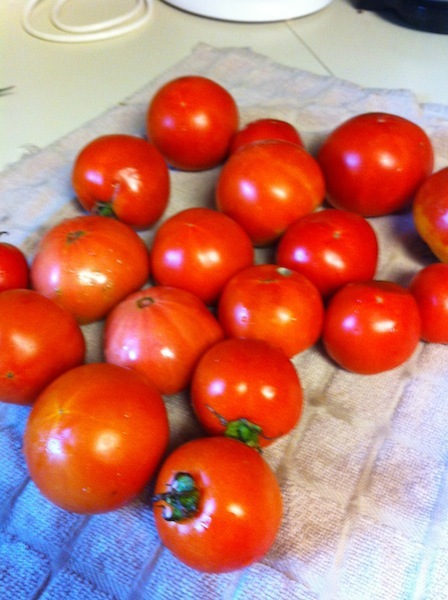 My countertop had become quite full of tomatoes that we’ve harvested from the garden within the last few days. 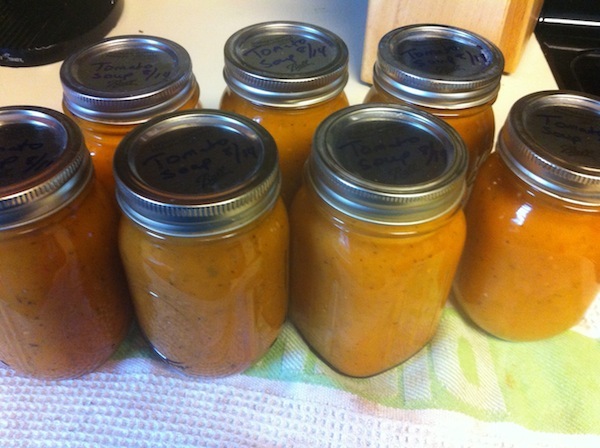 As I was pondering what to make with them, I remembered my recipe for Homemade Tomato Soup. So, I decided to whip up a batch to can for this fall/winter! 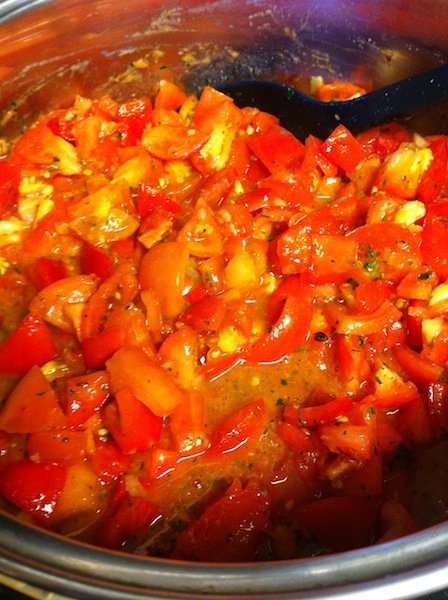 As the Apple Brownies were cooking away, I started dicing tomatoes. It really didn’t take very long to dice them, and before I knew it they were boiling away on the stove. I had enough tomatoes to make a batch and a half. I think 7 cans of Tomato Soup will do, don’t you? All I’ll need to top it off is a grilled cheese sandwich! 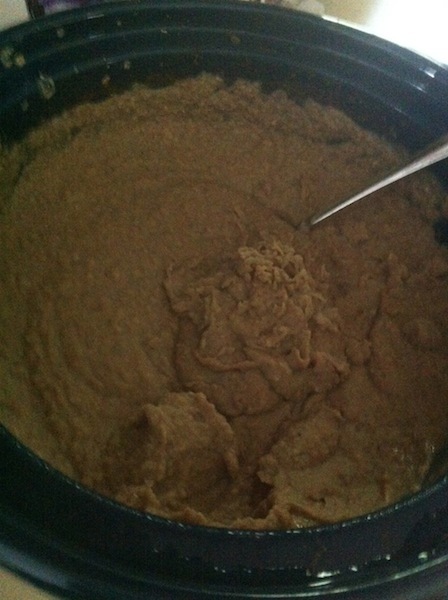 I also made a batch of Slow Cooker Refried Beans. 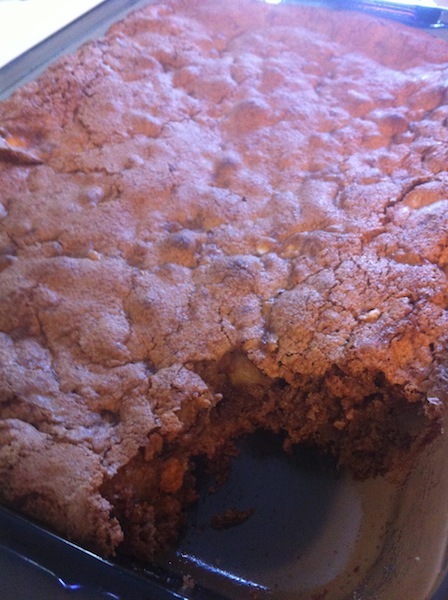 (This is a new recipe that I’ll share with you later.) These cooked most of the day, but they were super simple to make – I’d say less than 20 minutes of my time altogether! Even though I was in the kitchen most of the afternoon, I had a lot of downtime to do other things in between the boiling and such. It was an afternoon well spent. And, maybe it’s because I’m a simple minded girl, but I find it very fulfilling to use the apples and tomatoes that I had on hand! I may be a gluten for punishment but I’m planning on doing a bit of freezer cooking on Saturday. I plan to freeze a few meals for our suppers. I’ll keep you posted and let you know how it goes!